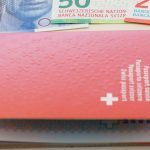 According to the Aargauer Zeitung, Nancy Holten, a 43 year old dutch citizen who had her Swiss citizenship application rejected twice by the commune of Gipf-Oberfick where she lives with her three Swiss daughters, recently learned that the canton of Aargau had overruled the commune’s decision, clearing the way for her to become a Swiss citizen. Holten is well-known for her opposition to cow bells. The vegan animal welfare activist set up an anti cowbell Facebook page and campaigned against the village’s church bells. 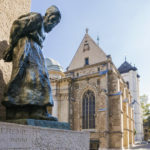 In an interview with the Aargauer Zeitung, she said that freedom of religion also means that a belief system should not be imposed on others. Because of her activities, some locals decided she was not sufficiently integrated, one of the requirements to become Swiss. Others resented the negative publicity she brought to the commune. 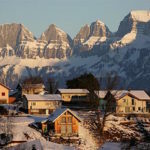 Despite a majority voting to reject her application at a commune level, cantonal authorities released a statement saying that her application met all of the requirements necessary for naturalisation, effectively overriding the commune’s decision. Speaking to the Aargauer Zeitung, Holten, who has lived in Switzerland since she was 8, said she had thought several times about leaving the municipality, but resisted because her children were well integrated socially. If it hadn’t been for her children she said she would have left. In the same interview she said was looking forward to joining her daughters in the same passport queue at immigration when travelling.